Dr. Twila Taylor is a Florida Licensed Psychologist with over 20 years of experience working with adolescents and families. Dr. Taylor specializes in working with "acting out" or "acting in" adolescents and their families to help them become more successful in school, home, and social arenas. Dr. Taylor's primary areas of focus include oppositional and defiant behavior, conduct problems, behavioral difficulties at home or in school, peer conflicts, isolative behavior, self-esteem issues, communication difficulties, and family discord. Dr. Taylor views issues from a systemic perspective and addresses the impact the problematic behavior has on the entire family. She is direct and straightforward in her approach yet can connect with even the most difficult teens. Therapy will also focus on identifying and building strengths and reducing risk factors. Dr. Taylor offers individual, family, and group psychotherapy, consultation, parenting workshops, and assessment services. 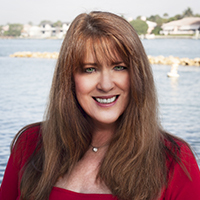 Dr. Taylor graduated with High Honors from the University of Maine with a BA in Psychology and continued her education, receiving her Doctorate in Clinical Psychology from Nova Southeastern University. Dr. Taylor's predoctoral work was completed at LSU Medical Center, New Orleans, LA and her postdoctoral work at Youth Affairs' Highridge Family Center in West Palm Beach, FL. Dr. Taylor's clinical experience includes managing a 60 bed residential treatment program, provision of inpatient and outpatient individual, family and group psychotherapy, crisis intervention and management, and work in inpatient adolescent and adult psychiatric hospital units.